For other uses, see Ghostwriter (disambiguation). A ghostwriter is hired to write literary or journalistic works, speeches, or other texts that are officially credited to another person as the author. Celebrities, executives, participants in timely news stories, and political leaders often hire ghostwriters to draft or edit autobiographies, memoirs, magazine articles, or other written material. In music, ghostwriters are often used to write songs, lyrics, and instrumental pieces. Screenplay authors can also use ghostwriters to either edit or rewrite their scripts to improve them. Usually, there is a confidentiality clause in the contract between the ghostwriter and the credited author that obligates the former to remain anonymous. Sometimes the ghostwriter is acknowledged by the author or publisher for his or her writing services, euphemistically called a "researcher" or "research assistant", but often the ghostwriter is not credited. Ghostwriting (or simply "ghosting") also occurs in other creative fields. Composers have long hired ghostwriters to help them to write musical pieces and songs; Wolfgang Amadeus Mozart is an example of a well-known composer who was paid to ghostwrite music for wealthy patrons. Ghosting also occurs in popular music. A pop music ghostwriter writes lyrics and a melody in the style of the credited musician. In hip hop music, the increasing use of ghostwriters by high-profile hip-hop stars has led to controversy. In the visual arts, it is not uncommon in either fine art or commercial art such as comics for a number of assistants to do work on a piece that is credited to a single artist. However, when credit is established for the writer, the acknowledgement of their contribution is public domain and the writer in question would not be considered a ghostwriter. A consultant or career-switcher may pay a ghostwriter to write a book on a topic in their professional area, to establish or enhance credibility as an 'expert' in their field. Public officials and politicians employ "correspondence officers" to respond to the large volume of official correspondence. A number of papal encyclicals have been written by ghostwriters. A controversial and scientifically unethical practice is medical ghostwriting, where biotech or pharmaceutical companies pay professional writers to produce papers and then recruit (via payment or as a perk) other scientists or physicians to attach their names to these articles before they are published in medical or scientific journals. Some university and college students hire ghostwriters from essay mills to write entrance essays, term papers, theses, and dissertations. This is largely considered unethical unless the actual ghostwriting work is just light editing. Ghostwriters are hired for numerous reasons. In many cases, celebrities or public figures do not have the time, discipline, or writing skills to write and research a several hundred page autobiography or "how-to" book. Even if a celebrity or public figure has the writing skills to pen a short article, they may not know how to structure and edit a several hundred page book so that it is captivating and well-paced. In other cases, publishers use ghostwriters to increase the number of books that can be published each year under the name of well-known, highly marketable authors, or to quickly release a topical book that ties in with a recent or upcoming newsworthy event. Ghostwriters will often spend from several months to a full year researching, writing, and editing nonfiction and fiction works for a client, and they are paid based on a price per hour, per word or per page, with a flat fee, a percentage of the royalties of the sales, or some combination thereof. Some ghostwriters charge for articles "$4 per word and more depending on the complexity" of the article. Literary agent Madeleine Morel states that the average ghostwriter's advance for work for major book publishers is "between $15,000 and $75,000". These benchmark prices are mirrored approximately in the film industry by the Writer's Guild, where a Minimum Basic Agreement gives a starting price for the screenplay writer of $37,073 (non-original screenplay, no treatment). However, the recent shift into the digital age (15–20% world market share of books by 2015) has brought some changes, by opening newer markets that bring their own opportunities for authors and writers—especially on the more affordable side of the ghostwriting business. One such market is the shorter book, best represented at the moment by Amazon's Kindle Singles imprint: texts of 30,000 words and under. Such a length would have been much harder to sell before digital reader-technologies became widely available, but is now quite acceptable. Writers on the level of Ian McEwan have celebrated this recent change, mainly for artistic reasons. As a consequence, the shorter format makes a project potentially more affordable for the client/author. Manhattan Literary, a ghostwriting company, states that "book projects on the shorter side, tailored to new markets like the Kindle Singles imprint and others (30,000–42,000 words) start at a cost of $15,000". And this shorter book appears to be here to stay. It was once financially impractical for publishers to produce such novella-length texts (they would have to charge too much); but this new market is, by 2015, already substantial and has been projected to be a solid part of the future of book publishing. So, with its appearance the starting price for the professional book writer has come down by about half, but only if this shorter format makes sense for the client. On the upper end of the spectrum, with celebrities that can all but guarantee a publisher large sales, the fees can be much higher. 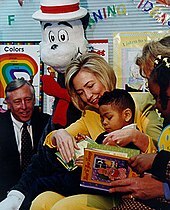 In 2001, the New York Times stated that the fee that the ghostwriter for Hillary Clinton's memoirs would receive was probably about $500,000 of her book's $8 million advance, which "is near the top of flat fees paid to collaborators". There is also the consideration of different benchmarks in different countries. In Canada, The Writers' Union has established a minimum fee schedule for ghostwriting, starting at $40,000 for a 200 to 300 page book, paid at various stages of the drafting of the book. Research fees are an extra charge on top of this minimum fee. In Germany, the average fee for a confidential ghostwriting service is about $100 per page. The Editorial Freelancers Association also suggests rates of 26 cents to 50 cents per word, which would be about $15,000 to $30,000 for a 250-page book. A recent availability also exists, of outsourcing many kinds of jobs, including ghostwriting, to offshore locations like India, China, and the Philippines where the customer can save money. Outsourced ghostwriters, whose quality levels vary widely, complete 200-page books for fees ranging between $3000 and $5000, or $12–$18 per page. The true tests of credibility—the writer's track record, and samples of his or her craft—become even more important in these instances, when the writer comes from a culture and first language that are entirely different from the client's. In some cases, ghostwriters are allowed to share credit. For example, a common method is to put the client/author's name on a book cover as the main byline (by Author's Name) and then to put the ghostwriter's name underneath it (as told to Ghostwriter's Name). Sometimes this is done in lieu of pay or in order to decrease the amount of payment to the book ghostwriter for whom the credit has its own intrinsic value. Also, the ghostwriter can be cited as a co-author of a book, or listed in the movie or film credits when having ghostwritten the script or screenplay for film production. For nonfiction books, the ghostwriter may be credited as a "contributor" or a "research assistant". In other cases, the ghostwriter receives no official credit for writing a book or article; in cases where the credited author or the publisher or both wish to conceal the ghostwriter's role, the ghostwriter may be asked to sign a nondisclosure contract that legally forbids any mention of the writer's role in a project. Some have made the distinction between "author" and "writer", as ghostwriter Kevin Anderson explains in a Washington Post interview: "A ghostwriter is an interpreter and a translator, not an author, which is why our clients deserve full credit for authoring their books." Ghostwriters are widely used by celebrities and public figures who wish to publish their autobiographies or memoirs. The degree of involvement of the ghostwriter in nonfiction writing projects ranges from minor to substantial. Various sources explain the role of the ghostwriter and how competent writers can get this kind of work. In some cases, a ghostwriter may be called in just to clean up, edit, and polish a rough draft of an autobiography or a "how-to" book. In other cases, the ghostwriter will write an entire book or article based on information, stories, notes, an outline, or interview sessions with the celebrity or public figure. The credited author also indicates to the ghostwriter what type of style, tone, or "voice" they want in the book. In some cases, such as with some "how-to" books, diet guides, or cookbooks, a book will be entirely written by a ghostwriter, and the celebrity (e.g., a well-known musician or sports star) will be credited as author. Publishing companies use this strategy to increase the marketability of a book by associating it with a celebrity or well-known figure. In several countries before elections, candidates commission ghostwriters to produce autobiographies for them so as to gain visibility and exposure. Two of John F. Kennedy's books are almost entirely credited to ghostwriters. Donald Trump's famous autobiography was produced by a ghostwriter. Several of Hillary Clinton's books were also produced by ghostwriters. A consultant or career-switcher may pay to have a book ghostwritten on a topic in their professional area, to establish or enhance their credibility as an "expert" in their field. For example, a successful salesperson hoping to become a motivational speaker on selling may pay a ghostwriter to write a book on sales techniques. Often this type of book is published by a self-publishing press (or "vanity press"), which means that the author is paying to have the book published. This type of book is typically given away to prospective clients as a promotional tool, rather than being sold in bookstores. Ghostwriters are employed by fiction publishers for several reasons. In some cases, publishers use ghostwriters to increase the number of books that can be published each year by a well-known, highly marketable author. Ghostwriters are mostly used to pen fiction works for well-known "name" authors in genres such as detective fiction, mysteries, and teen fiction. Additionally, publishers use ghostwriters to write new books for established series where the "author" is a pseudonym. For example, the purported authors of the Nancy Drew and Hardy Boys mysteries, "Carolyn Keene" and "Franklin W. Dixon", respectively, are actually pseudonyms for a series of ghostwriters who write books in the same style using a template of basic information about the book's characters and their fictional universe (names, dates, speech patterns), and about the tone and style that are expected in the book (for more information, see the articles on pseudonyms or pen names). In addition, ghostwriters are often given copies of several of the previous books in the series to help them match the style. The estate of romance novelist V. C. Andrews hired ghostwriter Andrew Neiderman to continue writing novels after her death, under her name and in a similar style to her original works. Many of action writer Tom Clancy's books from the 2000s bear the names of two people on their covers, with Clancy's name in larger print and the other author's name in smaller print. Various books bearing Clancy's name were written by different authors under the same pseudonym. The first two books in the Tom Clancy's Splinter Cell franchise were written by Raymond Benson under the pseudonym David Michaels. Sometimes famous authors will ghostwrite for other celebrities as well, such as when H. P. Lovecraft ghostwrote "Imprisoned with the Pharaohs" (also known as "Under the Pyramids") for Harry Houdini in Weird Tales in the 1920s. A number of papal encyclicals have been written by ghostwriters. Pascendi, for instance, was written by Joseph Lemius (1860–1923), the procurator in Rome of the Oblates of Mary Immaculate. In June 1938, Pius XI summoned American Jesuit John La Farge, who began to prepare a draft of Humani generis unitas, which LaFarge and two other Jesuits—Gustav Gundlach and Gustave Desbuquois—on in Paris; the draft was approximately 100 pages long. Another Jesuit translated the draft encyclical into Latin, presenting it to Wlodimir Ledóchowski, then the General of the Society of Jesus who had chosen Gundlach and Desbuquois for the project. The draft encyclical was delivered to the Vatican in September 1938. Sebastian Tromp, a Dutch Jesuit, a solid Thomist theologian and close to Pope Pius XII, is considered to be the main ghostwriter of Mystici corporis. There are ghostwriting companies and freelancers that sell entrance essays, term papers, theses and dissertations to students. Such services are sometimes offered by what is referred to as essay mills and frequently transacted through online interfaces. Despite being considered unethical and leading to repercussions if detected by universities, academic ghostwriting does not represent illegal activity in the United States and United Kingdom. Although academic ghostwriting involves the sale of academic texts that are written on demand, it cannot be equated with plagiarism, since it does not involve an undisclosed appropriation of existing texts. As opposed to cases of plagiarism that stem from a copy-and-paste reuse of previous work, essays and assignments that are obtained through ghostwriting services as a rule have the originality of their text confirmed by plagiarism detection software packages or online services that are widely used by universities. Universities have developed strategies to combat this type of academic services, which can be associated with academic fraud, that are offered to students and researchers. Some universities allow professors to give students oral examinations on papers which a professor believes to be 'ghostwritten.’ If the student is unfamiliar with the content of an essay that he or she has submitted, then the student can be charged with academic fraud. With medical ghostwriting, pharmaceutical companies pay professional writers to produce papers and then pay other scientists or physicians to attach their names to these papers before they are published in medical or scientific journals. Medical ghostwriting has been criticized by a variety of professional organizations representing the drug industry, publishers, and medical societies, and it may violate American laws prohibiting off-label promotion by drug manufacturers as well as anti-kickback provisions within the statutes governing Medicare. Recently, it has attracted scrutiny from the lay press and from lawmakers, as well. It is permitted at some institutions, including the University of Washington School of Medicine, while it is prohibited and considered a particularly pernicious form of plagiarism at others, such as Tufts University School of Medicine. Professional medical writers can write papers without being listed as authors of the paper and without being considered ghostwriters, provided their role is acknowledged. The European Medical Writers Association have published guidelines which aim to ensure professional medical writers carry out this role in an ethical and responsible manner. The use of properly acknowledged medical writers is accepted as legitimate by organisations such as the World Association of Medical Editors and the British Medical Journal. Moreover, professional medical writers' expertise in presenting scientific data may be of benefit in producing better quality papers. Some websites, including blogs, are ghostwritten, because not all authors have the information technology skills or the time to dedicate to running a website. Nonetheless, the style, tone and content is modeled on that of the credited author. Many website ghostwriters are freelance but some are freelancers who work under contract, as with radio presenters and television presenters. Occasionally a "house pseudonym", or collective name is used by the author of the website. Some celebrities, CEOs, or public figures set up blog websites—sometimes as a marketing, public relations, or lobbying tool. However, since these individuals are typically too busy to write their blog posts, they hire discreet ghostwriters to post to the blog under the celebrity or CEO's name. As with nonfiction ghostwriting, the blog ghostwriter models their writing style, content and tone on that of the credited author. This goes for social media as well. Many public figures have ghostwriters at least partially handle their Facebook and Twitter accounts, among others. Wolfgang Amadeus Mozart is an example of a well-known composer who was paid to ghostwrite music for wealthy patrons. More recently, composers such as the UK-based Patric Standford (born in 1939) have ghostwritten for symphonic recordings and films such as the Rod McKuen Cello Concerto. In the film industry, a music ghostwriter is a "person who composes music for another composer but is not credited on the cue sheet or in the final product in any way." The practice is considered one of the "dirty little secrets of the film and television music business" that is considered unethical, but has been common since the early stages of the film industry. In the early years of film, David Raksin worked as music ghostwriter and orchestrator for Charlie Chaplin; even though Chaplin was credited as the score writer, he was considered to be a "hummer" (pejorative film industry slang for a person who purports to be a film score composer but who in fact only gives a general idea of the melodies to a ghostwriter). The practice is also common in television, as composers listed on cue sheets are entitled to music royalties every time an episode or theme score appears on television. A 1998 investigation by The Hollywood Reporter revealed that it was especially prevalent among animation companies such as Saban Entertainment, DiC, Ruby-Spears Productions and Hanna-Barbera, which often listed company executives as musicians for the purpose of royalties. Several composers later filed a multimillion-dollar lawsuit against Saban Entertainment president Haim Saban, for allegedly taking ownership and credit for their musical compositions. Musical ghostwriting also occurs in popular music. When a record company wants to market an inexperienced young singer as a singer-songwriter, or help a veteran bandleader coping with writer's block (or a lack of motivation to finish the next album), an experienced songwriter may be discreetly brought in to help. In other cases, a ghostwriter writes lyrics and a melody in the style of the credited musician, with little or no input from the credited musician. A ghostwriter providing this type of service may be thanked, without reference to the service provided, in the album credits, or they may be a true 'ghost', with no acknowledgement in the album. Legal disputes have arisen when musical ghostwriters have tried to claim royalties when an allegedly ghostwritten song becomes a money-making hit. In 1987, Darryl Neudorf was asked to work on a project for Nettwerk Productions involving a newly signed artist in their repertoire named Sarah McLachlan. This recording, the album Touch, resulted in garnering the interest of Arista Records. She signed a multi-album contract with them and two of the songs that Neudorf worked on with her became commercial hits in Canada. In 1991, Neudorf was invited back to work with McLachlan on her second album, Solace. In 1993, he filed a lawsuit against McLachlan and her label, Nettwerk, alleging that he had made a significant and uncredited contribution to the songwriting on Touch, and alleging that he wasn't paid properly for work done on Solace. The judge in this suit eventually ruled in McLachlan's favour on the songs; though Neudorf may have contributed to the songwriting, neither regarded each other as joint authors. The judge ruled in Neudorf's favour on the payment issue. Chuck D of Public Enemy has offered a more positive view of ghostwriting in hip hop. In hip hop music, the increasing use of ghostwriters by high-profile hip hop stars has led to controversy. Critics view the increasing use of hip hop ghostwriters as the "perversion of hip-hop by commerce." This is because of the limiting definition of "rapping" as "...about you expressing yourself through your own words, not someone else’s." Chuck D of Public Enemy thinks this point of view is mistaken because "...not everyone is equipped to be a lyricist and not everyone is equipped to be a vocalist." He points out that creating a rap song may require multiple talents. Frank Ocean started his career as a ghostwriter for artists such as Justin Bieber, John Legend and Brandy. Currently in hip-hop, the credit given to ghostwriters varies: "silent pens might sign confidentiality clauses, appear obliquely in the liner notes, or discuss their participation freely." In some cases, liner notes credit individuals for "vocal arrangement", which may be a euphemism for ghostwriting. In the early 2010s, hip-hop ghostwriting services like Rap Rebirth have appeared online, which provide recording artists who wish to purchase ghostwritten rhymes a greater degree of anonymity. Ghost-authorship also applies to the visual arts, most commonly paintings. The extent of the master artist's contribution varies widely, as little as composition adjustments and corrective brush strokes, or as much as entire works. A common practice is the use of art instruction class milieu in which the master artist makes significant contributions to the work of the student who then signs that work as his or her own. Services addressing complete works have historically been highly confidential. Less prevalent are advertised commercial services which may use the term "vanity artwork" as suggestive of "vanity publishing". Carl Foreman and Michael Wilson for Bridge on the River Kwai (credited to Pierre Boulle, who wrote the novel). Dalton Trumbo for Roman Holiday (credited to Ian McLellan Hunter). The plot of the first season of the animated comedy-drama BoJack Horseman involves the title character BoJack dictating his memoirs to Diane Nguyen, a ghostwriter assigned by his publisher. David Mitchell's first novel Ghostwritten (1999) plays on the notion of characters ghostwriting their own lives. Haruki Murakami's 2009 novel 1Q84, in which one of the main plot lines revolves around a ghostwriter. Look up ghostwriter in Wiktionary, the free dictionary. ^ "The secret ghostwriters of Hip Hop". BBC News. ^ "Quien no corre, vuela". ZoomNews (in Spanish). Archived from the original on 2015-11-17. Retrieved 2015-11-14. ^ "Marketing Yourself via Ghostwriting". Certification Magazine. ^ "Contracts" (PDF). Writer's Guild of America. Archived from the original (PDF) on 2015-03-31. ^ "Publishing in the digital era" (PDF). Bain.com. ^ a b Julian Gough. "The big short – why Amazon's Kindle Singles are the future". The Guardian. ^ Ian McEwan (29 October 2012). "Some Notes on the Novella". The New Yorker. ^ a b Paul Farhi (9 June 2014). "Who wrote that political memoir? No, who actually wrote it?". Washington Post. ^ Kirkpatrick, David D. (8 January 2001). "Media Talk; Mrs.Clinton Seeks Ghostwriter for Memoirs". The New York Times. ^ "Ghost Writing". writersunion.ca. Archived from the original on 2012-08-01. ^ Editorial Freelancers Association. "EFA: Resources: Editorial Rates". the-efa.org. Archived from the original on 2013-01-19. ^ "The globalisation of work - and people". BBC News. ^ "The Straight Dope: Did John F. Kennedy really write "Profiles in Courage?"". straightdope.com. ^ Mayer, Jane (July 25, 2016). "Donald Trump's Ghostwriter Tells All". The New Yorker. Retrieved July 18, 2016. ^ "Who wrote that political memoir? No, who actually wrote it?". washingtonpost.com. June 9, 2014. Retrieved September 26, 2017. ^ "Catholicism Contending with Modernity". google.ca. ^ a b c Richard G. Bailey. August 2001. "The Hidden Encyclical of Pius XI." Canadian Journal of History. ^ The Holocaust Chronicle. 2002. "1937: Quiet before the Storm." p. 112. ^ "Academic ghostwriting: to what extent is it haunting higher education?". the Guardian. ^ "The Shadow Scholar". The Chronicle of Higher Education. ^ "Cheating Goes Global as Essay Mills Multiply". The Chronicle of Higher Education. ^ a b Gurney-Read, Josie (13 April 2015). "£1,700 For A Dissertation, But What's The Real Cost Of Plagiarism?". The Daily Telegraph. London. ^ "Unemployed For Years, Professor Turns To Ghostwriting For Students". Huffington Post. 9 April 2012. ^ Rennie, D.; Flanagin, A. (1994). "Authorship! Authorship! Guests, Ghosts, Grafters, and the Two-Sided Coin". JAMA. 271 (6): 469–471. doi:10.1001/jama.1994.03510300075043. ^ Studdert; et al. (2004). "Financial Conflicts of Interest in Physicians' Relationships with the Pharmaceutical Industry — Self-Regulation in the Shadow of Federal Prosecution". N Engl J Med. 351 (18): 1891–2000. doi:10.1056/NEJMlim042229. PMID 15509824. ^ Mathews (December 13, 2005). "At medical journals, paid writers play big role". Wall Street Journal. ^ House of Commons Health Committee (2005). The influence of the pharmaceutical industry. London: The Stationery Office Limited. ^ Giombetti (1992). "UW's Friendly Corporate Ghostwriter". Eat the State. 6 (19). ^ Krimsky, Sheldon (2003). Science in the Private Interest. Lanham: Rowman-Littlefield. ISBN 0-7425-1479-X. ^ Jacobs, A.; Wager, E. (2005). "European Medical Writers Association (EMWA) guidelines on the role of medical writers in developing peer-reviewed publications". Curr Med Res Opin. 21 (2): 317–321. doi:10.1185/030079905x25578. ^ "Resources for authors". bmj.com. Archived from the original on 2008-02-22. Retrieved 2008-01-04. ^ Schultz, H. Y.; Blalock, E. (2007). "Transparency Is the Key to the Relationship between Biomedical Journals and Medical Writers". Journal of Investigative Dermatology. 127 (4): 735–737. doi:10.1038/sj.jid.5700794. ^ Evan Dashevsky (16 December 2013). "Who's actually writing your favorite celebrity's tweets?". PC World. ^ "Film & TV Music Knowledgebase :: Glossary of Film and TV Music Terms". filmmusicmag.com. ^ "Gelf Magazine Hip-Hop's Ghostwriters". gelfmagazine.com. ^ Bradley, Adam. Books of Rhymes: The Poetics of Hip Hop. p. 153. ^ "Stamberg Raps! And Other Tales From A Hip-Hop Ghostwriter". NPR.org. 2 July 2011.